Spike’s dark past may prove too much for his emerging relationship with Buffy. But when it’s a choice between him being tortured by killer nightmares and finding out who may be behind them, it’s no choice at all. Can Buffy and Spike make it last? So, the gang has come up with a plan to banish Spike’s dark dreams. They will send someone powerful through Spike’s mind on the astral plane in order to get more clues to the killer. 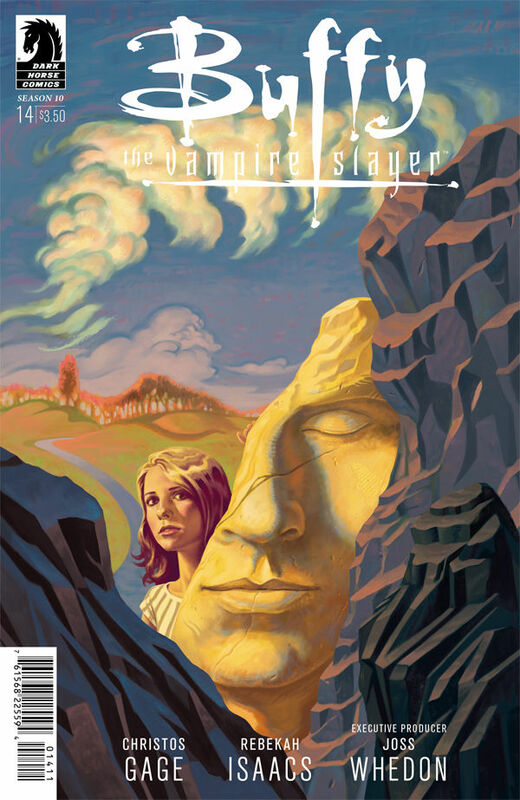 Unfortunately, Willow and Giles are needed in the conscious world, so the mission falls to Buffy. Added to that, if she’s detected while trapped inside, she will die. Doesn’t that sound like a cheery prospect? And aside from the fact she might perish, Spike is fearful of what she will see while inside his head. What if she sees the horrible things in his past and can’t handle them? Knowing that he did these heinous acts and seeing them live and in person are two different things. She may decide that she doesn’t want to be with him anymore, just when they are starting to be on the same page finally. But they can’t turn their backs on this potential lead of information, so it’s into Spike’s mental landscape they go! Giles puts a sleep spell on Spike, then Willow does the same with Buffy. That’s when the Slayer gets an up-close glimpse of what makes Spike who he is. She begins to feel everything, and sees that Spike really loves her. I’m so glad that she’s realizing that this time it’s for real. No more dreamy-eyed infatuation with her, he legitimately loves her and has all the hopes and fears Buffy does when entering into this relationship. But along with the love, there is also the past. Buffy goes back to when Spike left town last year and sees that he slept with Harmony. 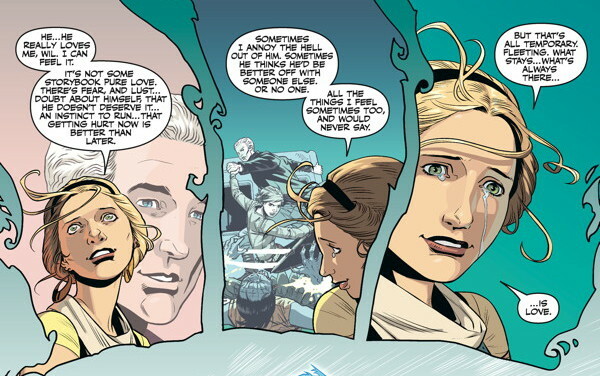 While a bit put-off at first, she soon realizes that Spike sees Buffy in a loving light versus everyone else. She is in a whole other league. Along with the ups and downs of love, there are also the kills. 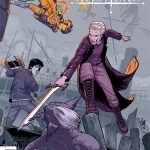 Buffy sees his nightmares and a trail of darkness tracing back to Spike’s past. She sees the pain he went through to get his soul, finally realizing how much he went through to prove himself. Buffy travels back to when he was evil, back to when he was turned, back to when Dru was turned, when Angel was turned, and finally back to the Master. The trail ends up with the first creator, Archaeus. His presence has been a part of all his descendents, which is why Spike has been having the nightmares. He is all-powerful, and it looked like he may have trapped Buffy in the dream-world, as Willow couldn’t wake her up, but they finally get both Spike and Buffy back to the waking world and she knows where to find Archaeus so they can put an end to these nightmares. They head out to the Port of San Francisco to find Archaeus, and then he appears. That’s when things get tricky. Archaeus injures Buffy, trying to push Spike to attack her. While he is strong, the hold Archaeus has on him seems stronger. He cannot control himself and warns Buffy to run, before attacking her. That’s where we end the issue. Will Spike get control over himself again? Will Buffy forgive him for whatever he’s about to do? Please let their relationship survive!